Hear the stories of September 11, 2001 — by those who were there – at the 9/11 Tribute Museum in New York City. Located in the World Trade Center section of Manhattan, the center brings together those who want to learn about 9/11 with those who experienced it — survivors, first responders and rescue workers, civilian volunteers and community residents. 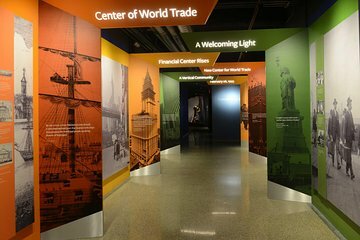 Explore the exhibits and galleries and take a unique walking tour of the 9/11 Memorial, led by a 9/11 Tribute Center guide.